Tom Hanks Is "In the Garden of Beasts"
Tom Hanks will fight WW II once again. Hanks has optioned the rights to Erik Larson's "In the Garden of Beasts: Love, Terror and an American Family in Hitler’s Berlin," about William Dodd, the American ambassador to Germany in the '30s, according to The Hollywood Reporter. Dodd expected to encounter the same warm citizenry he had known three decades earlier while a graduate student in Leipzig; he hoped to use reason and quiet persuasion to temper Hitler’s government. Martha found the “New Germany” utterly enthralling, totally unlike the horrific realm depicted in newspapers back home. For her, as for many other foreign visitors at the time, the transformation of Germany was thrilling and not at all frightening. Not yet. As that first year unfolded they experienced days full of energy, intrigue, and romance—and, ultimately, terror, on a scale they could never have imagined. Their experience tells volumes about why the world took so long to recognize the grave threat posed by Hitler. 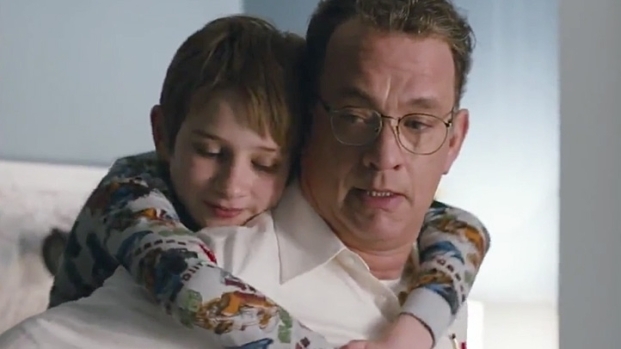 Hanks, who can next be seen Dec. 21 in "Extremely Loud and Incredibly Close," is interested in playing Dodd--what're the odds he asks Colin to play Martha?